Medicaid fraud is widespread and instances of Utah Medicaid fraud are, unfortunately, not uncommon. Through the federal False Claims Act (“FCA”), the government has put a structure in place to help federal authorities and states, like Utah, uncover Medicaid fraud and punish the criminals. The FCA has given federal and state governments an effective tool in the fight to combat taxpayer fraud. However, the most potent weapon the federal government or the State of Utah has to fight Medicaid fraud and recover taxpayer dollars, is the whistleblower. Each year, taxpayers are fleeced by corrupt health care providers, pharmaceutical companies, and medical device manufacturers who try to profit illegally from government-funded health care programs. The costs of this type of Medicaid fraud can run into hundreds of millions of dollars each year. Often, the first warning that something is wrong comes from an employee with knowledge of the fraud. Whistleblowers, particularly health care professionals with knowledge of fraud and wrongdoing, help protect important medical programs and keep the overall costs of health care in check. The FCA provides both financial incentives and protections for those who are willing to come forward to protect the public. If you believe you may have information which covered by the FCA, you can find out if you’re eligible for a cash whistleblower award by calling the free, confidential Utah Whistleblower Hotline at (801) 323-5000 or filling out the online whistleblower report form. Anyone can be a whistleblower if they have knowledge of fraud or wrongdoing. The important thing is to take action and not allow fraud to continue. 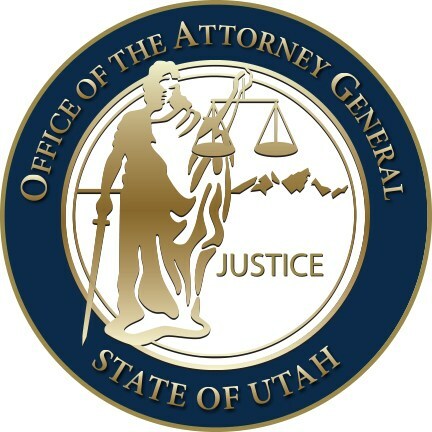 Utah’s Medicaid Fraud Control Unit (MFCU) relies on honest physicians, nurses, dentists, assistants, bookkeepers, pharmacists, sales representatives and other health care professionals to report any information they feel may be relevant to prevent unscrupulous people or companies stealing Medicaid funds. If you wait to report what you know about Utah Medicaid fraud, you risk losing your eligibility for a cash reward. That’s because only the first to report an instance of Medicaid fraud is eligible to collect the cash whistleblower reward, for that specific instance. This is known as the “first-to-file bar” and is one reason why timing is important for whistleblowers. In addition, the federal FCA has a 6-year statute of limitations that begins on the date the violation or fraud occurred or a 3-year statute of limitations that begins on the date when the facts relevant to the plaintiff’s right to bring the lawsuit become known, or reasonably should have become known, by the state in which the suit was filed. For example, a civil lawsuit for being unjustly fired for being a whistleblower must be filed within 3 years of the date the firing occurred, under the anti-retaliation provisions of the federal FCA. The statutes of limitations and first-to-file bar are just two good reasons why it is critical that those with knowledge of Utah Medicaid fraud act quickly. In addition, the people and companies attempting to defraud taxpayers and profit illegally should be stopped in each and every instance, as quickly as possible. If you suspect a medical provider is committing fraud against Utah Medicaid, don’t delay. Contact us immediately by calling (801) 323-5000 or contact us by email. The Utah Whistleblower Hotline can help you understand your options and determine your next steps.